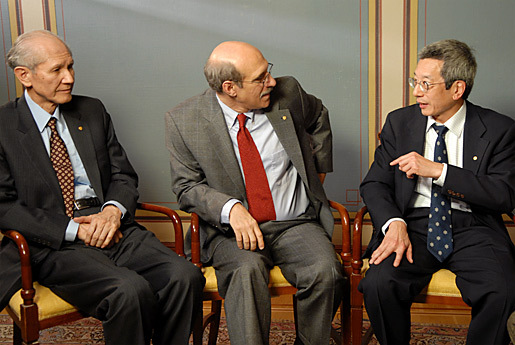 4 (of 19)	The 2008 Nobel Laureates assembled for a group photo during their visit to the Nobel Foundation, 12 December 2008. 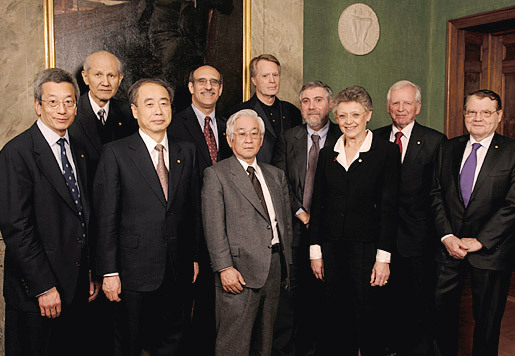 Back row, left to right: Nobel Laureates in Chemistry Osamu Shimomura and Martin Chalfie, Nobel Laureate in Literature Jean-Marie Gustave Le Clézio, Economics Laureate Paul Krugman and Nobel Laureate in Physiology or Medicine Harald zur Hausen. 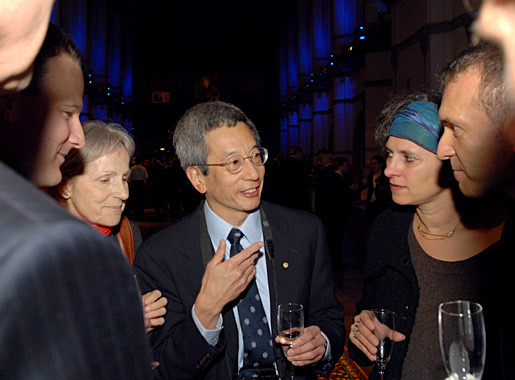 Front row, left to right: Nobel Laureate in Chemistry Roger Y. Tsien, Nobel Laureates in Physics Makoto Kobayashi and Toshihide Maskawa and Nobel Laureate in Physiology or Medicine Françoise Barré-Sinoussi and Luc Montagnier. 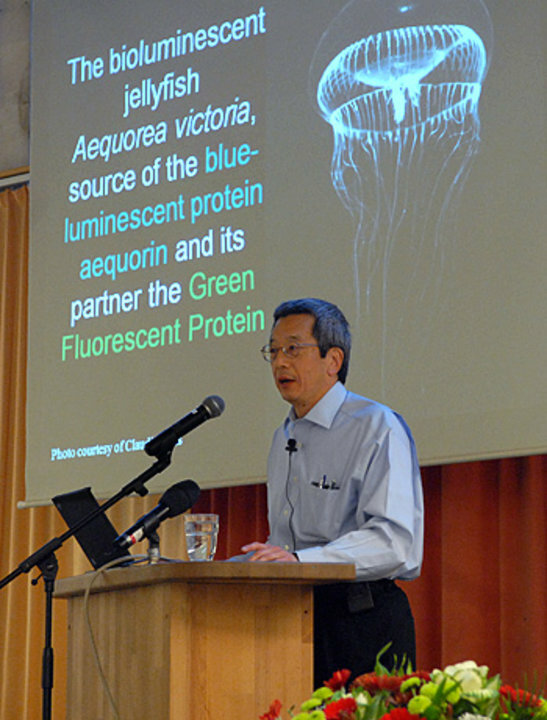 5 (of 19)	Roger Y. Tsien lectures about GFP during a visit to the Värmdö Gymnasium School in Stockholm, 12 December 2008. 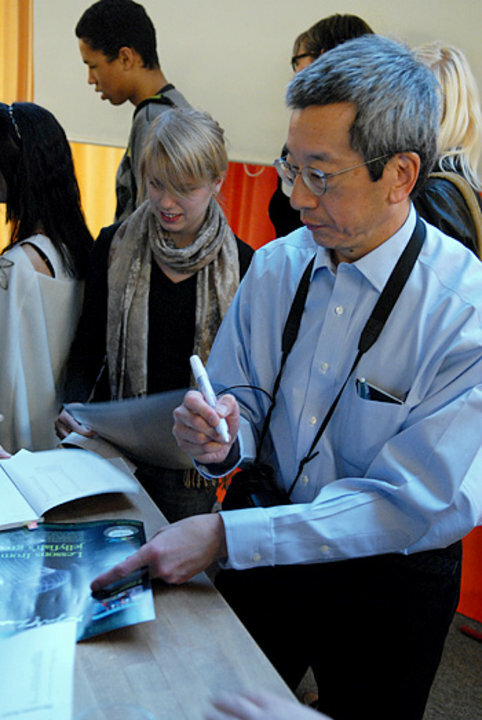 6 (of 19)	Roger Y. Tsien signing autographs for enthusiastic pupils during a visit to the Värmdö Gymnasium School in Stockholm, 12 December 2008. 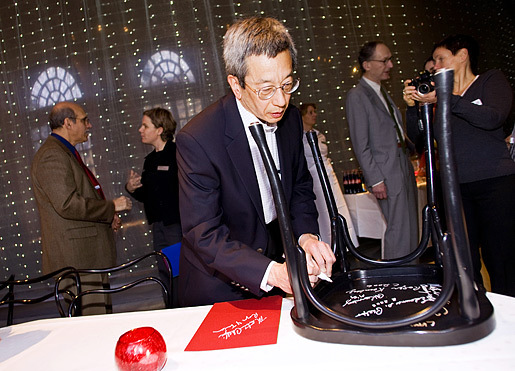 11 (of 19)	Roger Y. Tsien, like many Nobel Laureates before him, autographs a chair at Kafé Satir at the Nobel Museum in Stockholm, 6 December 2008. 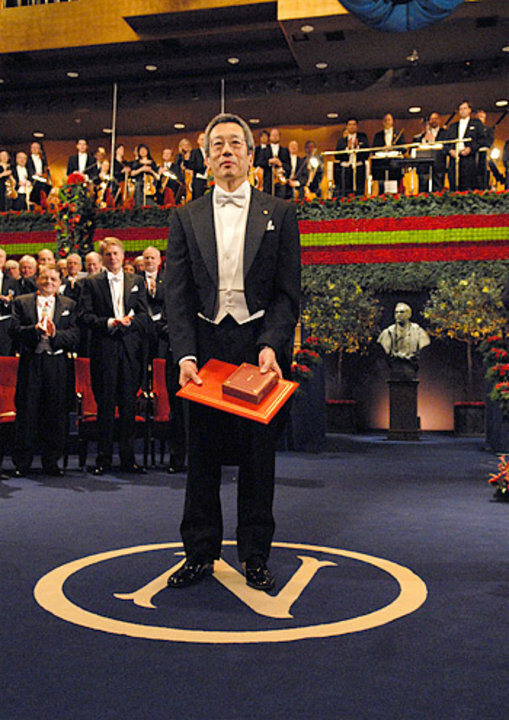 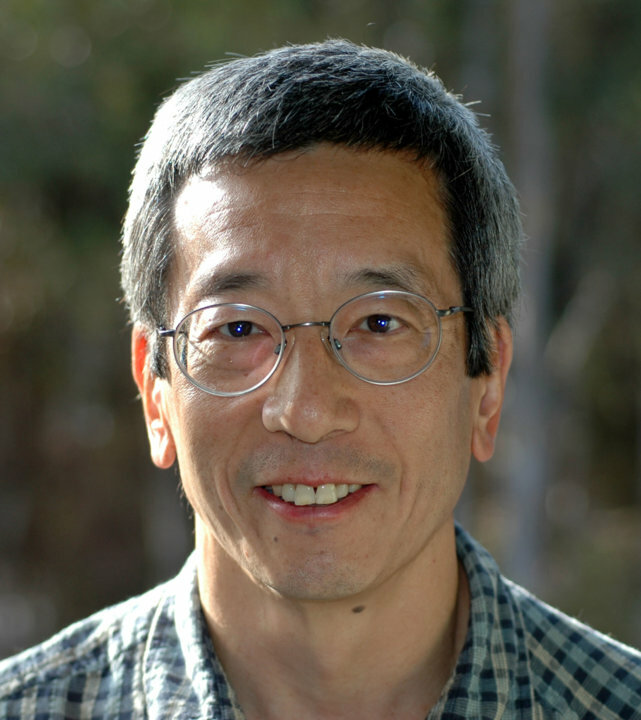 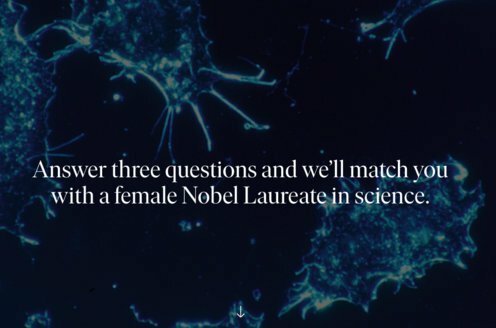 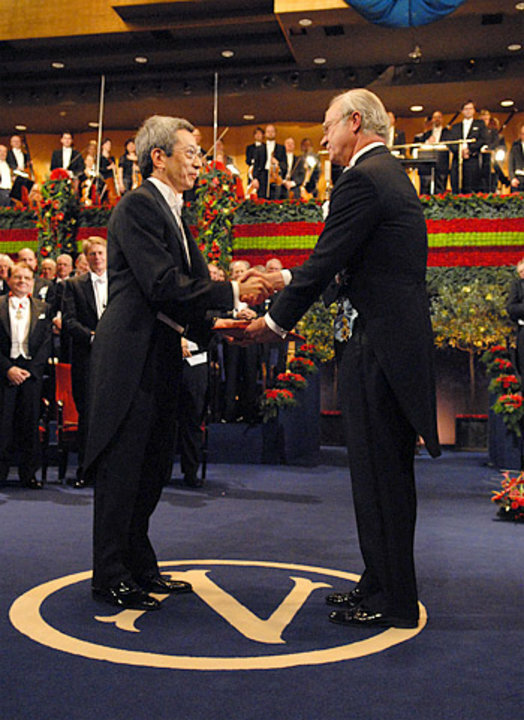 12 (of 19)	Roger Y. Tsien, Nobel Laureate in Chemistry 2008. 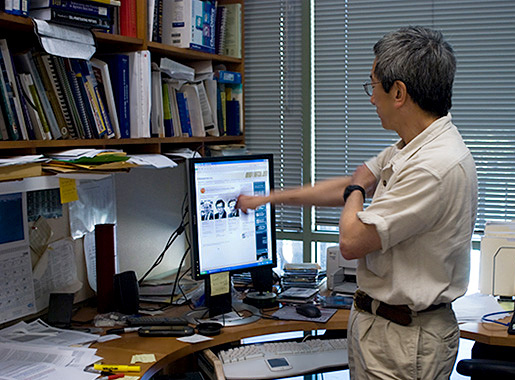 13 (of 19)	Roger Y. Tsien browsing Nobelprize.org in his office. 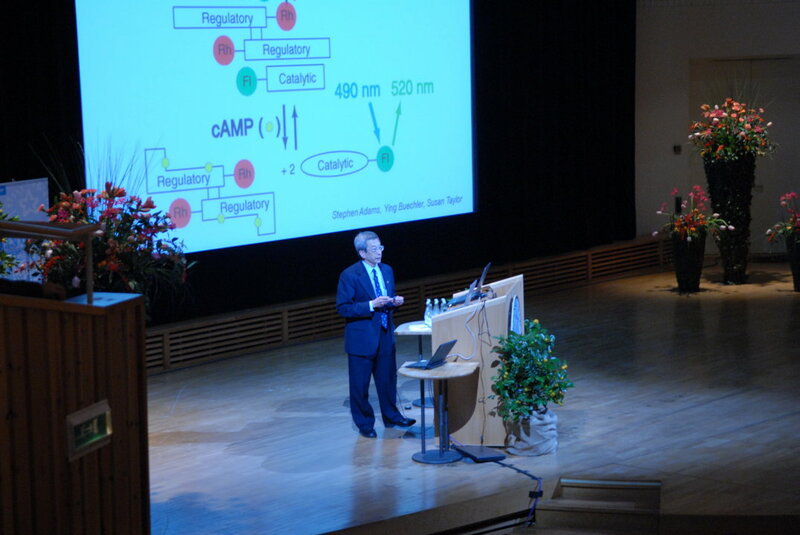 He received the telephone call from Stockholm in the middle of the night. 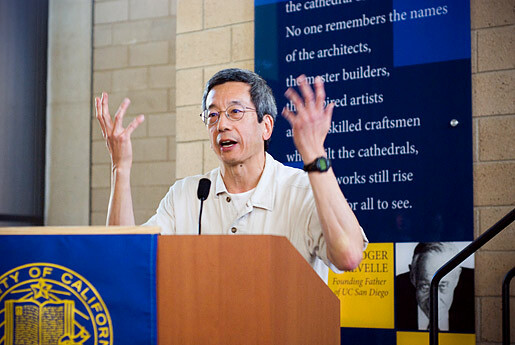 14 (of 19)	Professor Roger Tsien during a press conference at the University of California, San Diego, Wednesday 8 October, 2008. 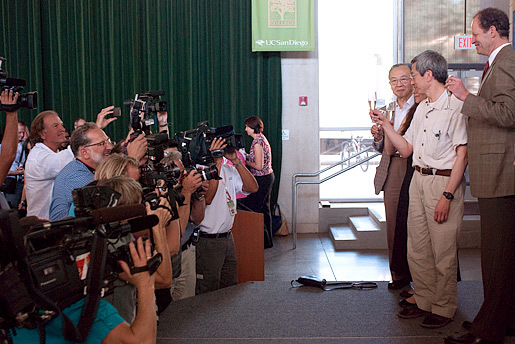 15 (of 19)	Nobel Laureate Roger Tsien toasts his Nobel Prize in front of the cameras at a press conference at the University of California, San Diego. 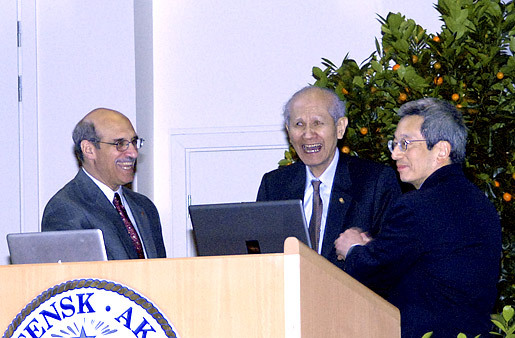 To his left is UCSD bioengineering researcher Shu Chien and to his right is Vice Chancellor for Health Sciences David Brenner. 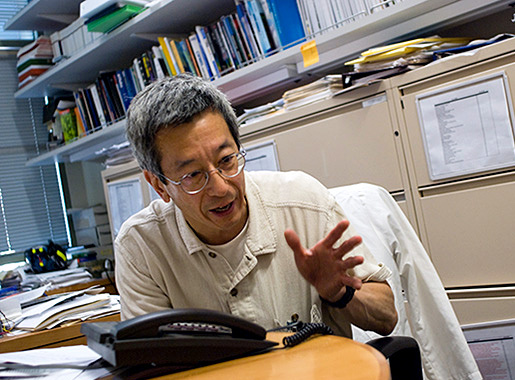 16 (of 19)	UCSD researcher Roger Tsien answers questions from reporters by speakerphone. 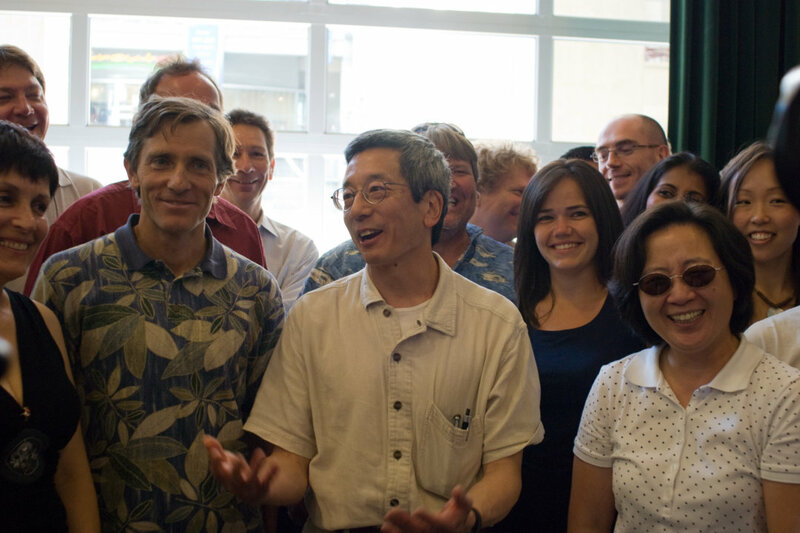 17 (of 19)	UC San Diego researcher Roger Tsien with current and past colleagues, and students from his lab. 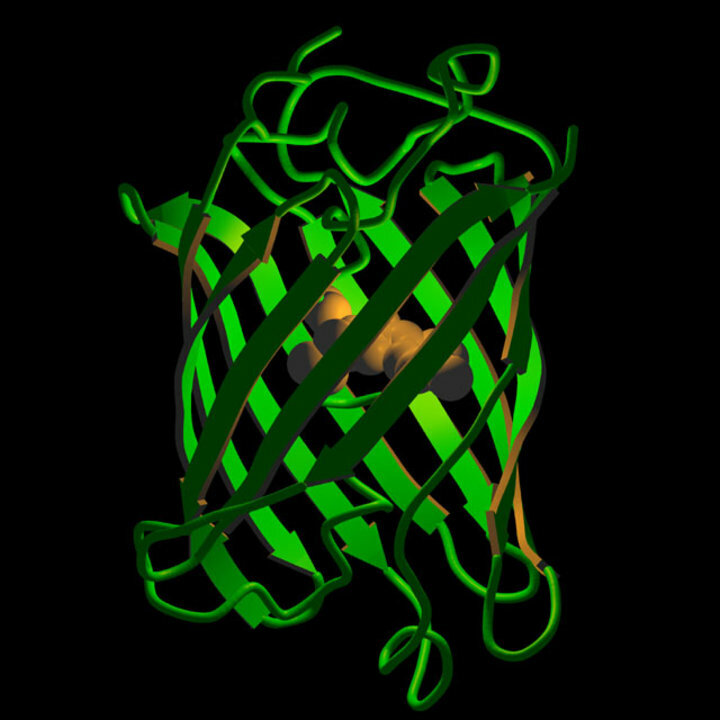 18 (of 19)	The green fluorescent protein GFP is shaped like a cylinder. 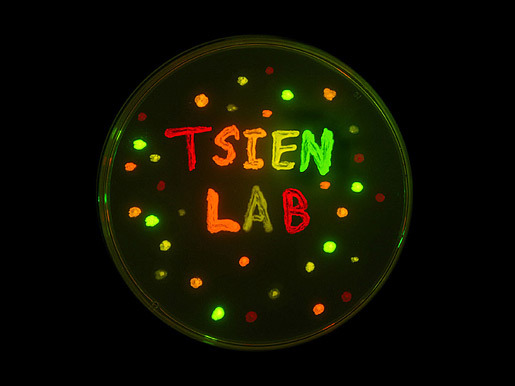 19 (of 19)	E. coli expressing various fluorescent proteins were used to produce this image in a petri dish.